Troy Donockley & assorted musicians on MySpace. Hope you're doing well and all happy, in love and Rocking. My server has made some updates with the result that if you are surfing with Firefox the pages look a bit different and some links will not open how it is meant to be. Hopefully they will solve that too. Anyway have some fun with reading and surfing. This multi-instrumentalist is really busy, most will know him of his play on Uilleann pipes with Mostly Autumn and Iona. But he does a lot more, he juste ended a tour with Barbara Dickson. If you like the Swedish metal band Nightwish and pre-order their new album, you will hear Troy on that too. "Dark Passion Play" will be the first Nightwish album with their new singer Anette Olzon, release date; September '07. This week he's invited by "Bose" to make some noise for their advertising campaign. Futher Troy's working on a solo album with some help of a few Iona members and an orchestra. Together with Maart Allcock (ex-Fairport Convention and ex-Jethro Tull), Gwenan Gibbard on harp and Angus Lyon a box player, they go and tour. Playing traditional Celtic folk. Oké maybe that is not your cup of tea, but think his next Project will really be astonishing. Troy: "Initially, this project was formed in 1975 - the brainchild of the producer, engineer, and now Egyptologist (!) David Rohl and ended up in 1978 as a showcase for members of 10cc, Barclay James Harvest, Justin Hayward and my old pal Maddy Prior. This will be its third incarnation and we will work towards a release next year....". 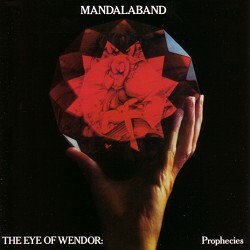 The album "Eye of Wendor" ('78) is a fanastic classical, symphonic concept album. With some great names on board. If You like "Days Of Future Passed" of the Moody Blues, or the album of Procol Harum with the Dave Edmundson orchestra, or Iona's "Woven Chord" and .. mmm yes "Magnification" of Yes, you will love this album. It was one of my favourite album for a long long time. There will be two discs, more you can read here. If you like these kind of productions, please check out Excalibur. A project from Alan Simon, with Alan Parsons, Jon Anderson, Jon Wetton, Jon Helliwell, Les Holroyd and others. Picture by Paul Harris. Classic Rock Magazine: "The Reasoning, a new six piece whose debut Awakening must surely set them up as one of the brightest hopes for the future." "The Reasoning are beginning to make a name for themselves on the touring circuit, with reports that they pack a serious punch live." The Musician Union Magazine: "The Reasoning are a stunning six piece progressive rock outfit who have risen in a very short space of time to supporting Marillion and generating impressive sales of this CD." "A confident debut that oozes talent and fun." More reviews in German, English, Spanish, French & Dutch you can find here. You can win tickets + a drink with the band for the Borderline show at www.thereasoning.com. This competition starts next week. They're working on a new album already (release date spring 2008). The first songs are already written and will be played in London. More info and sound samples at: the MySpacePage. 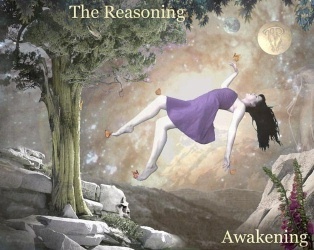 The Reasoning managed to support Marillion, Mostly Autumn will support Bryan Adams! Mostly Autumn have been invited to support Bryan Adams at Murrayfield Stadium on Saturday July 21st the closing night of Bryan Adams' European tour. Bryan chose Mostly Autumn over a host of other bands helped by recent publicity in Mojo and Classic Rock and it's sure to be a great night. Troy was invited too, but I believe he has other appointments... . The former keyboard player of Mostly Autumn is recording his new album right now. The album will be called: "Coming Up For Air". An interview with the beautifull talented lead singer, Olivia you'll find here. I've added some new live pics at mostlypink. Of course they're on the MySpacePage too. Back to Troy Donockley who plays on "The Running Tide" a song from the new album of Mermaid Kiss called Etarlis. The album is based on a story that key members Jamie and Evelyn created passing time on long rides and such. Basically a story of several people from our world being transported to a fantasy world, Etarlis. The mingling of the charecters, etc. Sounds all wonderful for an album idea. :-) They created a website solely for support of the album, in which you can read the background of story charecters and hear a few snippets of some of the songs. Also their Myspace, which has two complete songs from the album on their player: www.myspace.com/mermaidkissuk. Now Lee is back in the news with an extensive Project called "The Puzzle". "The Puzzle" is a project that uses music, and visuals to look at key pivotal events of the 20th Century that have shaped the world in which we live today. These events of the 20th Century are all inter-related by cause or effect, and have set the course for the 21st Century. Using music and other forms of media, the project will build up a picture of the past that has brought us to the present... Does that make sence? The secound album will be about "The Space Race" and if this album is so good as his predecessor we'll hear a lot of this man in the future. A new designed "A Promise Of Peace" has been released and available as from the 1st February 2007. The new design includes a 12 page full colour CD booklet. Another project, like the ManadalBand with a lot of guest musicians. Set up after the Tsunami (boxing day 2004!). They released a fantastic single. Finally David Robinson of F2 Music has found a destination of the 10.000 euro's that are being collected: www.savethechildren.org. An organisation that helps children in need all around the world. And with the money they'll help the children in south East Asia. It took some time, because David hoped that he would sell all the singles. So there are left a few... so if you have interested to support a good cause and hear a fantastic Proggy Single with one of your favourite artists: Buy... 5 english Pounds, including shiping, a bargain. Listen here. On his official site you can see a glimpse of the forthcoming DVD. 'Wot's... Uh The Deal', 'Dominoes', 'Wearing The Inside Out', 'Arnold Layne' and 'Comfortably Numb'. His tour is almost ended, he's doing his last gigs in the U.S. & Canada. The guitarist and singer of Roger Waters has made a solo album called Scarlet. Band mates are: drummer Pete Riley and bass player Phil Williams. On backing vocals his girl friend Anne-Marie Helder. Special guest appearances by a string quartet. See his MyspacePage for more info and sound samples. An interview you'll find here (please scroll down when you open the page). The legendary guitarist of the Wall, Thin Lizzy and his solo efforts will be touring in Europe. The touring band will consist of Snowy, Richard Bailey, Walter Latupeirissa and Max Middleton. A new live album is planned after the summer and a new studio album will be released in 2008. For more info this page. This is the lady who does the "Great Gig In The Sky" during Rogers tour. She's working on a solo album too. Some clips of her absolute great performance you can find on her site or on You Tube (of course). The great sax player has also plans for a new jazz album and some touring in London. He has also a great tour blog. Nick is till busy with his cars and he designed a guitar for charity, more you can read at Brian-Damage. It was funny to see clips as support entertainment at the Genesis gig. It was even more funnier when we heard "Money" and saw some nice shots of Nick Mason with his cars. For further information check out www.blind-ego.com! Try the links to their MyspacePages! It's fun and you can hear some tunes of the bands. Saturday 14.Juli Pendragon, RPWL, Blind Ego, Quidam, Hidden Timbre, (In case you've forgot; Blind Ego is the solo project of RPWl's guitarist Kalle Wallner (live Yogi Lang is doing the keyboards, on the studio album Clive Nolan (Pendragon) was present on a few songs), Hidden Timbre is Kalles wife and band ;-) So think it will be a big party overthere! Night of the Prog" Festival Lorely 21. & 22. Juli 2007. Jebo, Sylvan, IQ, ASIA (in Originalbesetzung! ), Echoes performs Pink Floyd. The Watch, The Merlin Bird, Pendragon, Fish, Jethro Tull. Subtacto Progfest 2007 4th August Oslo, Sweden. Pendragon, ACT, Magie Pie, White Willow, Threshold, Wobbler. Summer's End 2007 15/ 16th September Wolverhampton. Pain Of Salvation, Also Eden, Karnataka, Abarax, Tinyfish. It Bites, Threshold, Christina Booth & Friends, Solstice, Yesterdays, Whimwise. Symforce 013 Tilburg NL 15th September. Saturday september 15th Symforce welcomes : FLOWER KINGS (sweden) - PENDRAGON (uk) - RIVERSIDE (poland) - FOCUS (holland) - LAZULI (france) - The AURORA PROJECT (holland) - LADY LAKE (holland) - ISOPODA (belgium) - The PINEAPPLE THIEF (uk) - BEARDFISH (sweden) - BOOTCUT (sweden) under the banner "Prog past, present and future" no doubt this will be THE event you have to visit ! Tickets on sale now ! Competition page; you can win two albums of the Reasoning. So this is were www.mostlypink.net is all about. Thanks for still being with me. Next News letter / Aug. Previous News letter / Feb.
Do have something to say, or just want to recieve my newsletter?